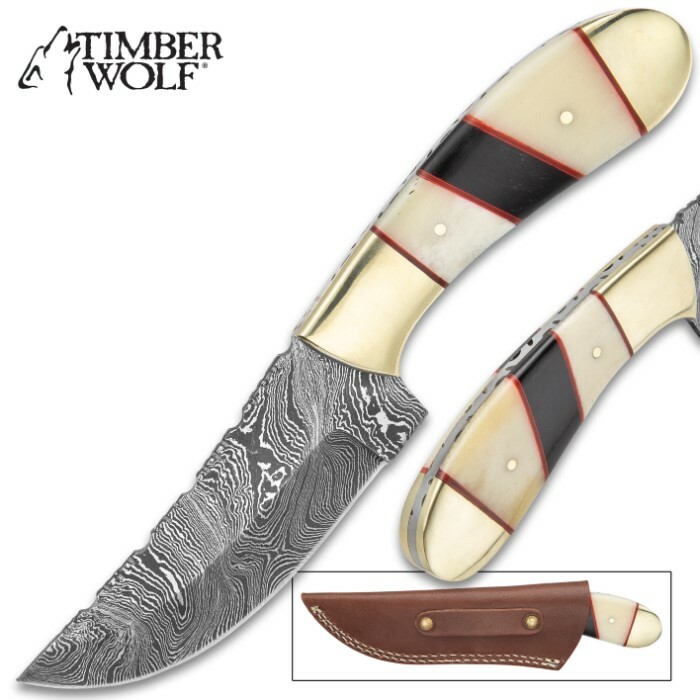 The Timber Wolf Legion Knife is a compact fixed blade that’s easy to handle for small cutting tasks and won’t take up that much room in your gear or on your person. 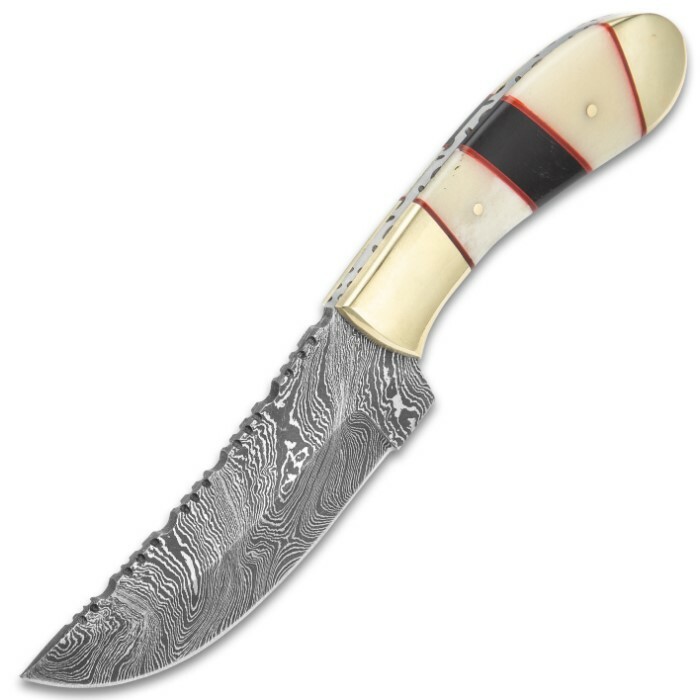 It has a keenly sharp, 5” Damascus steel upswept blade with a rounded belly and intricate filework along the spine. 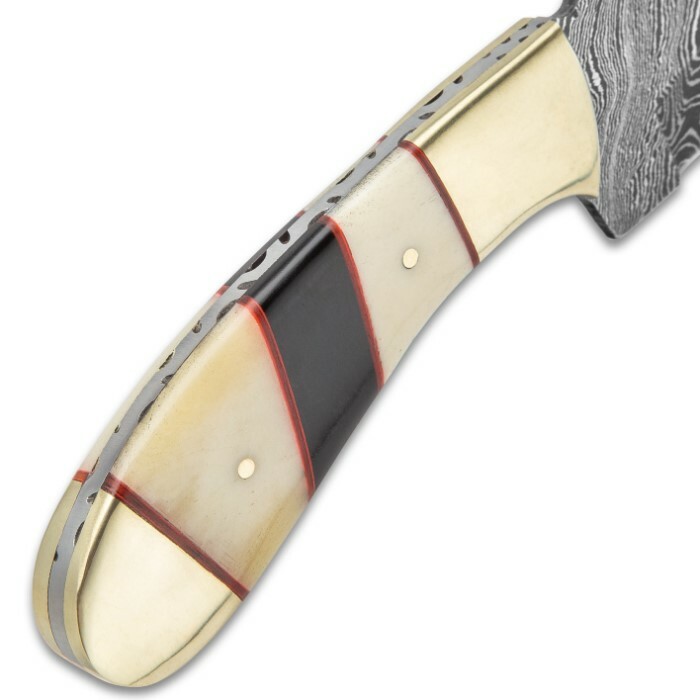 The handle scales are of genuine white bone with a black bone stripe, accented with red spacers and the pommel and guard is brass. 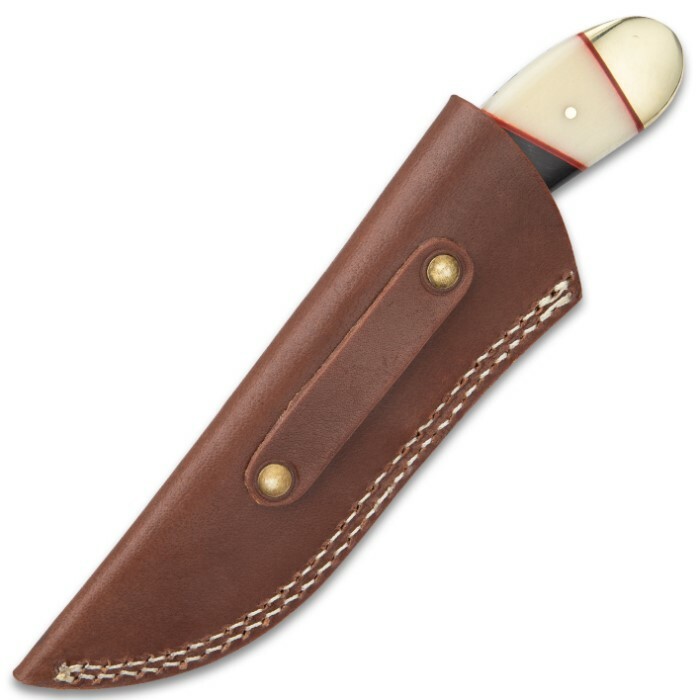 The 9” overall length fixed blade knife slides into a premium leather belt sheath, so it’s close at hand when needed.